Martha Stewart now has nine lines of carpet tiles manufactured with Flor, a company that specializes in the ease of customized flooring. Flor produces various lines of do-it-yourself flooring alternatives, all using a tile format. 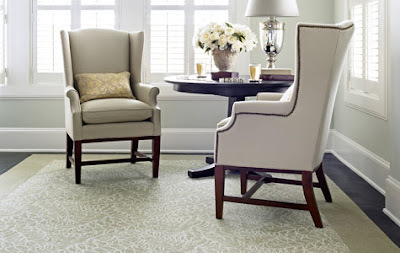 The customer orders carpet tile variations for installation on a hard, treated floor surface. The tiles can then be arranged in any colour pattern or texture desired, with mix-and-match alternatives available. 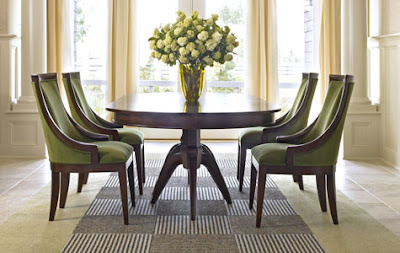 They are engineered to hug the floor and have low-tack adhesives that keep them in place. They can be easily packed up and moved, or rearranged as desired. The tiles are also touted as being 'environmentally responsible' because of the way they are manufactured and the materials used. 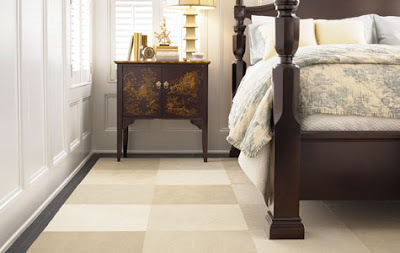 To see more of the Martha Stewart Flooring with Flor visit Flor.com and explore the brand.